In an interview with a journalist from a Russian television channel, Prime Minister Nikol Pashinyan attracted attention with his next ridiculous statement. He complained that pipelines are not being built in Armenia now and expressed interest in building a transit pipeline in the country that would transport oil or gas. Though it might sound a loud statement, but lacks any logic. Evidently, Pashinyan absolutely doesn’t care where this pipe will come from and whether it will meet the interests of Armenia’s main strategic partner - Russia. Pashinyan should then agree on such a pipe (energy project), for example, with Azerbaijan, previously withdrawing the Armenian armed forces from the Azerbaijani territories. President Ilham Aliyev has repeatedly stated that it is in the interests of Armenia itself, which stayed away from all regional projects because of its occupation policy, reach an agreement with Azerbaijan as soon as possible and benefit from future cooperation. Azerbaijani Foreign Minister Elmar Mammadyarov made similar statements, who said that "the lack of success in resolving the Armenian-Azerbaijani conflict poses the greatest threat to regional cooperation. Because of its occupation policy, Armenia has been left out of all regional projects". So, the Armenian Prime Minister should take this important step, which will contribute to improving the economic situation of Armenia itself. Russian expert Yevgeny Mikhailov believes that Pashinyan’s recent statements are quite understandable. He considers the leadership of Armenia did not succeed in negotiations with Russia on lowering gas prices, and now the Armenian prime minister needs to do something so that the disgruntled population does not begin to show his protest on the streets as well. “Pashinyan’s remarks regarding his desire to see at least some pipeline passes through the Armenian territory should be precisely linked with this factor. Gas transit first of all implies favorable prices for fuel and money for its transportation through the country's territory,” said Mikhailov. At the same time, the expert did not rule out that Pashinyan could go against the Russian national interests in this matter and take part in any other, competitive Russian gas transportation system. And this can be done, including under pressure from Armenia’s western partners, he added. "We must understand that so far Armenian PM has not received such a proposal. But if such proposals appear and Pashinyan agrees to them, this will be the last straw in the campaign unfolding in Armenia to discredit Armenian-Russian relations," noticed Mikhailov. The leading analyst of the National Energy Security Foundation, Igor Yushkov, also noted that Pashinyan’s statement demonstrates that the Armenian prime minister is more economically oriented, and whether the pipe is politicized or not is in second place for him. Yushkov noted that Russian projects, most likely, will not go through Armenia. All Russian gas pipelines are built in order to bypass the transit countries. It would be difficult to let the pipe through Armenia, and besides, it is not clear where to direct it, the analyst noted. As for Azerbaijan, the current gas pipeline to Europe has already been built up to the Turkish territory, the sections will be completed to Bulgaria and Greece by 2020, and they will reach Italy by 2022. Yushkov said that since the section from Azerbaijan to Turkey has already been built, a new pipeline, for example, to Armenia, already implies additional supplies of gas, which the Azerbaijani side does not have. Now, when there are no supplies to Bulgaria, Greece, and Italy yet, Azerbaijan already bought about 1.5 billion cubic meters of gas from Gazprom in 2018. The expert noted that this was done because the Azerbaijani side had to fulfil export contracts and supplies to the domestic market. The question also arises whether why Azerbaijan should supply gas to Armenia. Azerbaijan could do it if it were a good deal. If Azerbaijan suddenly obtains additional volumes, the country will have to decide where it woild be more profitable to export them. 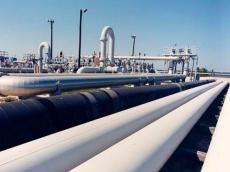 The Azerbaijani side is well aware that Europe will hardly refuse to buy additional gas from Baku in order to reduce purchases from Russia itself. Thus, it turns out that either Armenia will have to pay an acceptable price for Azerbaijan’s gas or ask for a lower price. But expert is sure Azerbaijan will clearly not agree to the latter. So, Armenia is not lucky in this regard. It is not as well located as, for example, Turkey, which is now becoming a rather large transit country, Yushkov concluded.